The Beautification Committee is a group of Grand Chute Residents who work on projects, such as planting, clean-up and beautification, primarily of the Town Center Park flower beds and trees, pocket parks, playground, picnic, and pond areas. Assist with Annual Town events such as Arbor Day, National Trails Day, Earth Day, etc. 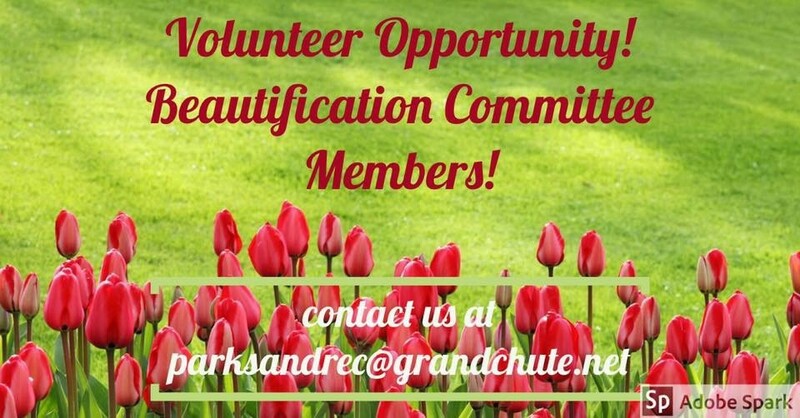 If you are interested in joining the Beautification Committee please contact Mike Arft at parksandrec@grandchute.net or (920) 380-2948.